Mmm. 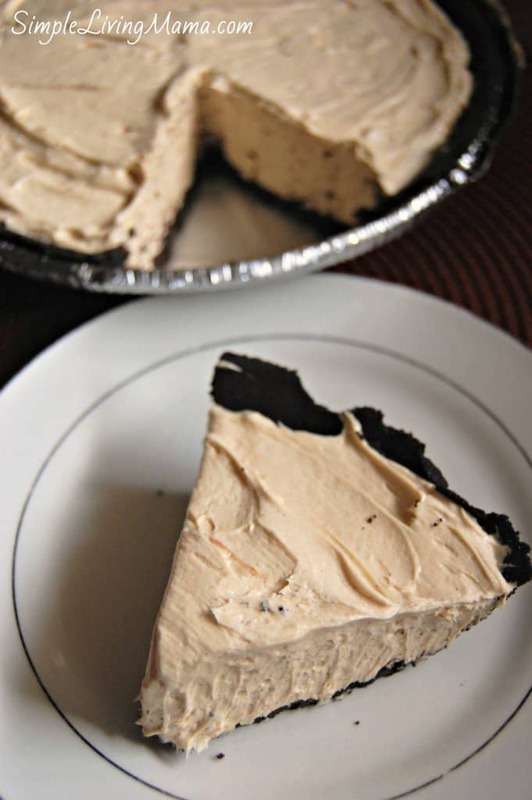 There’s nothing quite like a decadent peanut butter pie. My family started making this recipe when I was a kid and it quickly became a favorite. I realized the other day that I had never made one for my own children! Man, they were missing out! I decided to whip one up today and share the recipe with you! Warning: this pie is VERY rich, but it is so good. It’s perfect for a little treat every now and then. 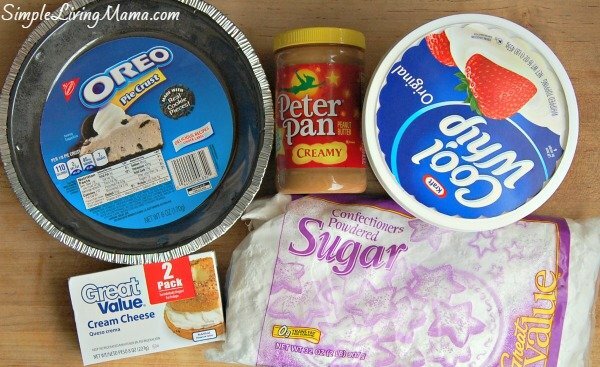 This pie really couldn’t be easier. It’s no bake. Just combine ingredients, fill a crust, refrigerate, and eat! Let’s start with the ingredients. You have to have an Oreo crust. You can make your own, but I just buy the pre-made crust and call it good. You’ll also need 1 cup peanut butter, 8 oz. Cool Whip, 8 oz. cream cheese, and 1 1/4 cup powdered sugar. 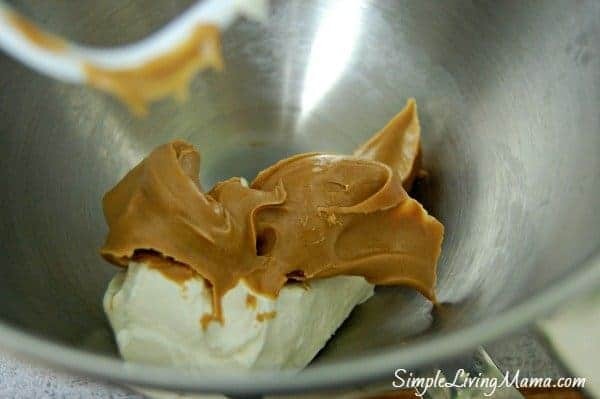 Start by combining the softened cream cheese with the peanut butter. I used my stand mixer to make things easier on me. Then, blend in the powdered sugar and the Cool Whip. Smooth the yummy mixture into your pie crust. Resist the urge to lick the bowl. The filling is so good! 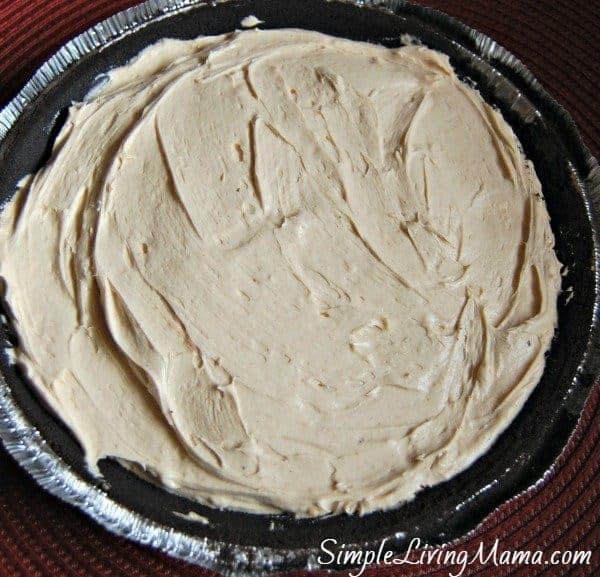 Refrigerate your pie for about an hour before cutting into it. That’s it. It is incredibly simple. If you need a go-to dessert for a potluck, make this. People will love you! 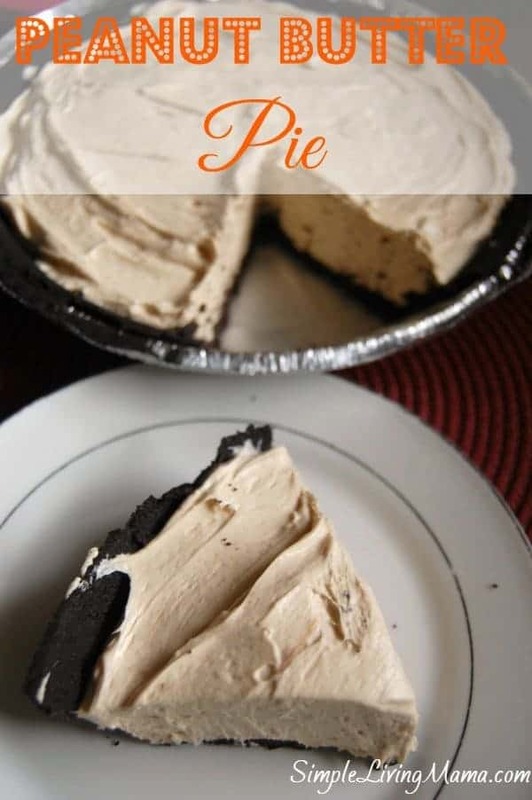 A rich and creamy peanut butter pie recipe. 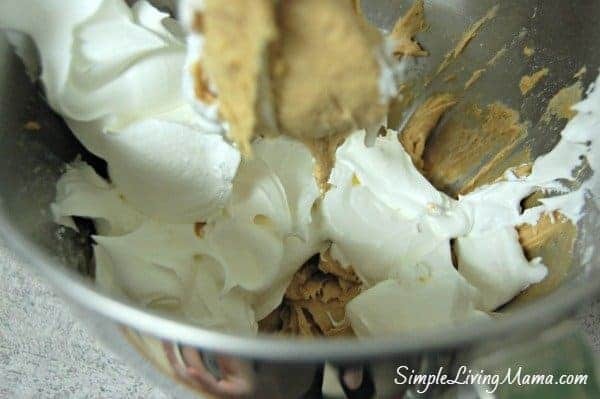 Combine peanut butter and cream cheese in mixer until smooth. Blend in powdered sugar and Cool Whip until completely combined. Rach D recently posted…Starting The Blog Year Off Right: 1st Mom 2 Mom Link Up!!! Here from Mom 2 Mom Monday, and so gad I found this recipe! I love how easy it is. Thanks for sharing! I definitely will be pinning this one.